Texting My Pancreas: Research Update Event. I received this in my inbox last week, and I'm very much planning to attend this event. It's not often that JDRF does a research update in the Midwest (actually, I'm not aware that they've ever done one around here before), so this is a pretty rare opportunity. I'm totally geeking out about it. 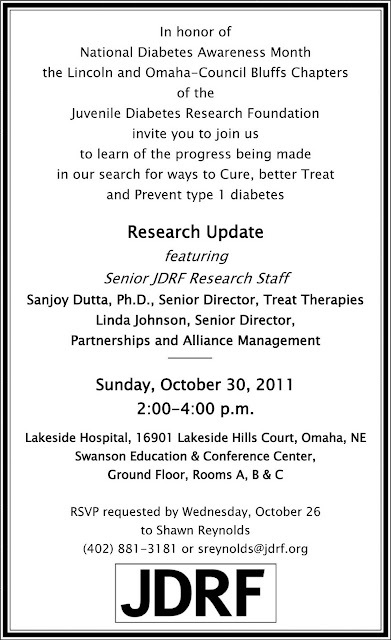 JDRF has held these research events locally before although it has been a few years since the last one. They are held infrequently because of the expense, also a reason that the Omaha & Lincoln JDRF Chapters combine to host. This is really great news!!! JDRF Capitol Chapter in the Washington, DC area had a similar event earlier this year, but its nice to see similar events are going on in other parts of the country! Please keep the DOC community posted on how this goes! 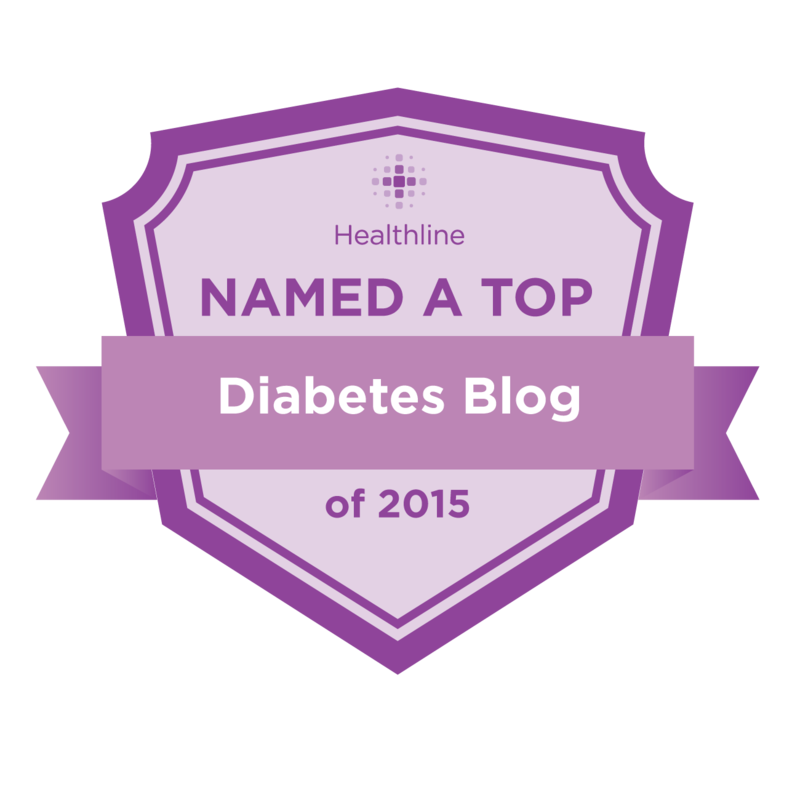 I live in Omaha and have been reading your blog for almost a year. This looks great and I plan to attend. Looking forward to seeing you there! I'll be sure to introduce myself. 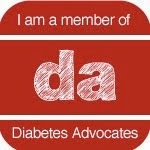 You get all the cool people with diabetes AND all the cool events!!! It's not fair! Very cool, Kim. Will be excited to hear how it goes. JDRF does one of those every January/February here in Indy, probably because of Lilly's being located in town. We had Aaron K out here a couple years ago (my first one), and I think it was Dr. Insel (or not) this past time. It's exciting to hear that more of these are being held in other places. Spreading the research message is always a great thing! Thanks for sharing this, Kim.